Osman Eldes received both the B.Sc degree with high-merit scholarship, and M.Sc. degree in Electrical and Electronics Engineering from Koc University, Istanbul, Turkey in 2012, and in 2015. He has worked at Optical Microsystems Laboratory (OML) during his B.Sc and M.Sc degree from 2010 to 2015. He worked in Microvision Inc., Seattle, WA, and in Seoul National University Binel Laboratory, South Korea, as a research engineer. His major interests are optics, display technologies and computer vision. 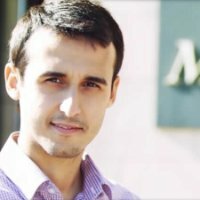 In February 2017, he joined OML as a Phd candidate in EE and is currently working on computer vision and display technologies.